You guys, I have been using the wrong hair dryer for years and I didn’t even know it! I have pretty thin hair which dries very fast, so I never put much thought into a hair dryer because really, what’s the point? Or so I thought. When we visited Tolar’s family at the beginning of December I left my hair dryer at home in hopes of saving a little bit of space in my suitcase. While there, I used my mother in law’s hair dryer and couldn’t believe the power that came from her dryer. 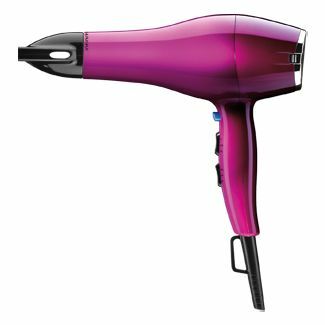 She has the Conair Infiniti Pro which is a very sleek product and quite a powerful machine! I thought my hair dried fast before, oh no this new dryer slashed all previous records! I truly feel like this is a salon quality product and even find that my hair is very silky and shiny afterwards. I love how fast my hair dries with the Conair Infiniti Pro; it cuts down on the amount of heat styling my hair needs which means healthier hair in the end. And being a good southern girl, you know I like my heat styling tools. And the best part? It’s not really expensive at all. Nope, this fab dryer will keep your wallet nice and fat. And we can all use a fat wallet this time of year, am I right? I found the Conair Infiniti Pro here. Click that link and you can order your own. I’m writing this post all because I love the product, Conair has no clue who I am. I just thought it was my duty to tell you all about it because I couldn’t believe how wonderful my hair looked after using it. In fact, upon returning home and using my old hair dryer, I was extremely unhappy with the results. So I got online and ordered myself a Conair Infiniti Pro right away and I couldn’t be happier. I have the older version... waaayyy older and loved it, but it is slowly starting to die! I have been searching for a new one that is budget friendly and you just finalized my decision. thanks! I have the orange one! LOVE it!! !